Well let me start off by saying that my dog's a 5 months pup. Possibly that's my answer that he's way too young to pay attention to me? He really does get distracted by everything when outside but still..
Umka is awesome and he's actually pretty trainable ( so far ) but only inside. Site, Stand, Drop, Paw, Bang.. etc.. does it but we go outside and he forgets everything! Actually from what I can tell he knows his commands he just chooses not to listen ( oh Chow Chows ). I tell him to Sit - he looks at me like "pfff" and looks away while continuing to stand. Does anyone have any tips for me how can I get my dog/pup to listen to me outside ? Also is it safe for me to put pressure on his back part to force him to sit down if he doesn't listen ? 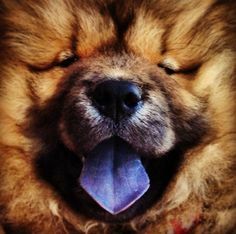 Whatever works inside for motivation goes away once he is outside...very common with a Chow. Try escalating the reward. 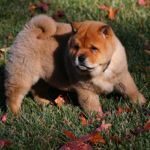 It won't work with every chow, but in my opinion is the best option. If he responds inside to a standard treat/bait for basic commands, step it up outside. My 2 both react well to cheese. Just a small bit, waived under the nose to start, and then they pick it up just like regulary behavior training. He's a fine looking pup! Did he roll over when you asked or was that just part of playtime? It was a long time ago, but I remember taking my pup to a quiet field where there were few distractions to work on paying attention. Like Rory's Dad says, you need some really good treats and make sure he knows you've got 'em. Persistence & patience. Make training sessions short, let him explore, then train again. But it looks like you've got a pretty good start.